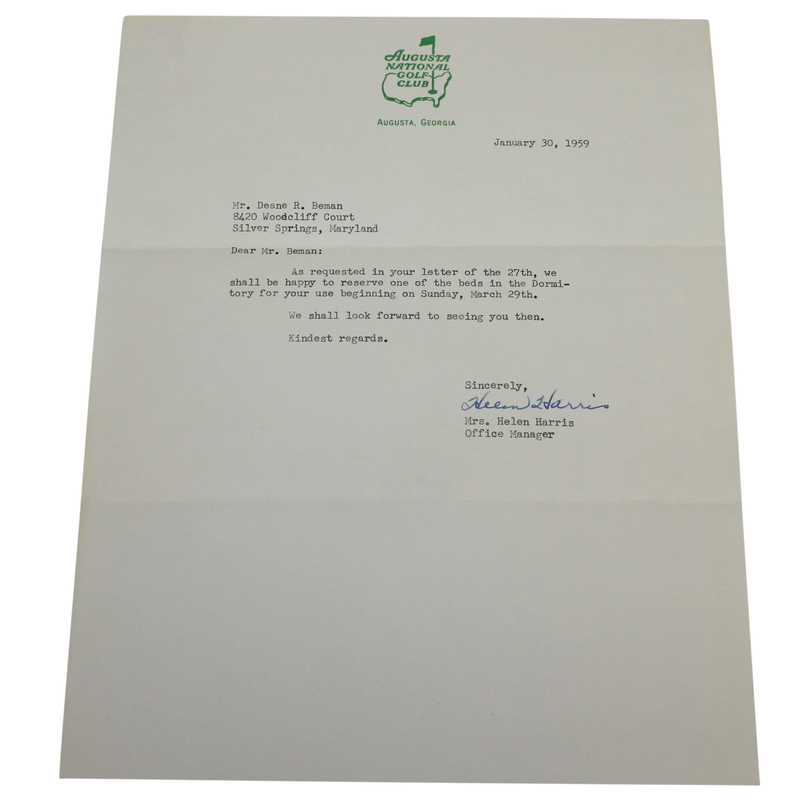 Art Wall Jr carded a final round of 66 while overtaking 12 golfers to win his only Major championship at the 1959 Masters Tournament. 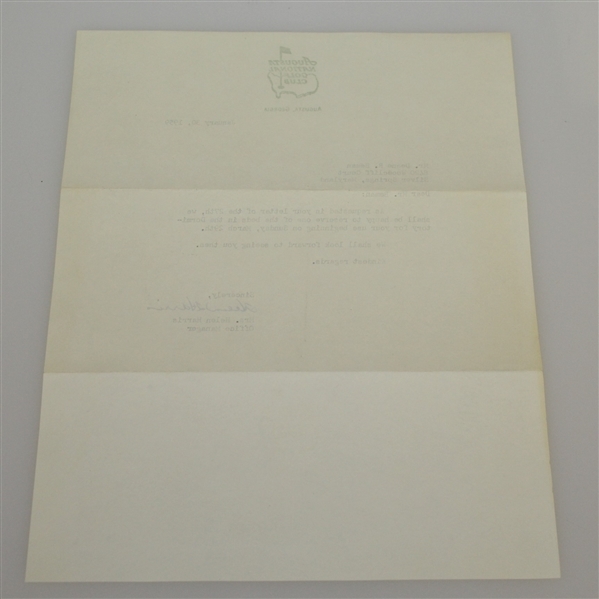 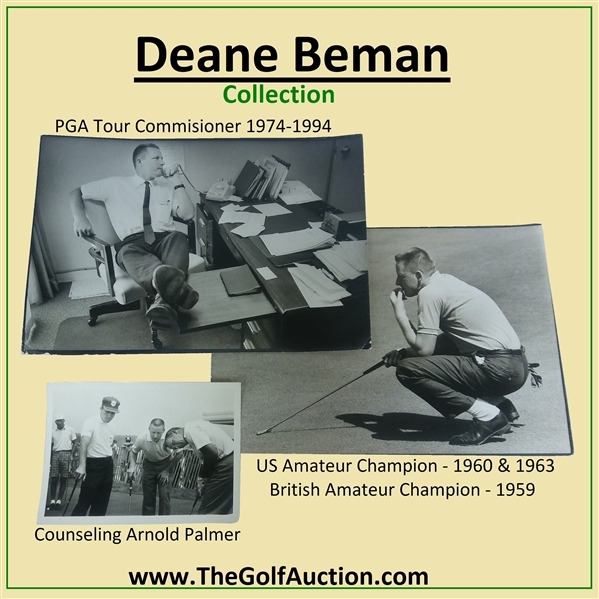 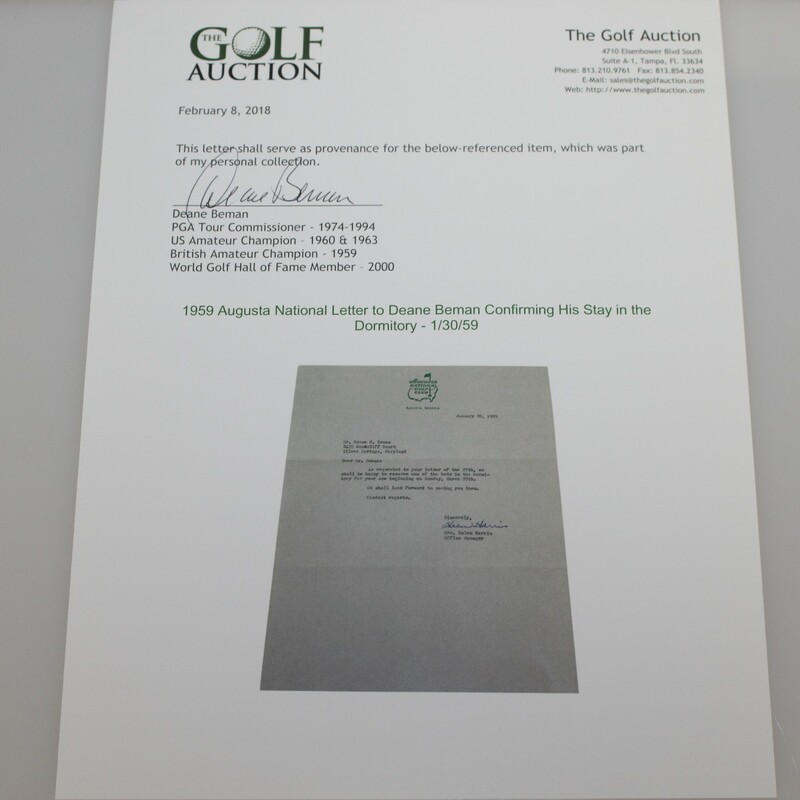 Offered here is a letter to Deane Beman from the office manager at Augusta National Mrs. Helen Harris prior to the start of the tournament. 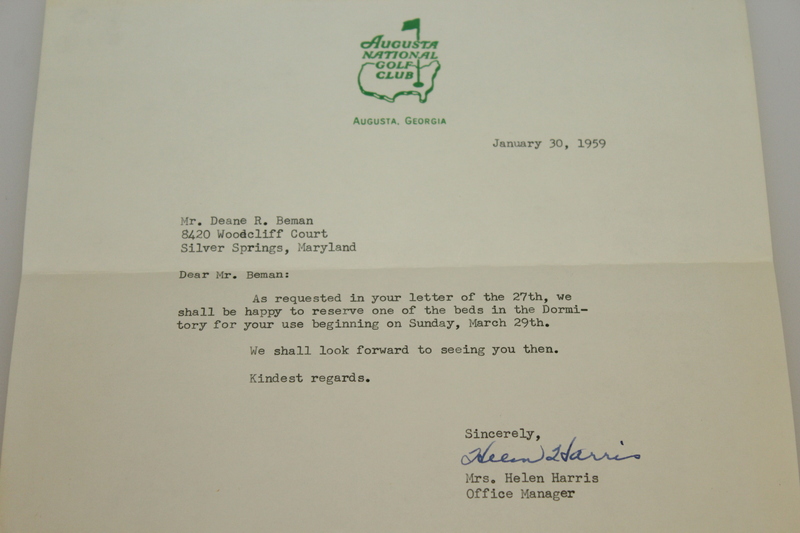 the letter is to confirm that Beman will have a bed in the dormitory. 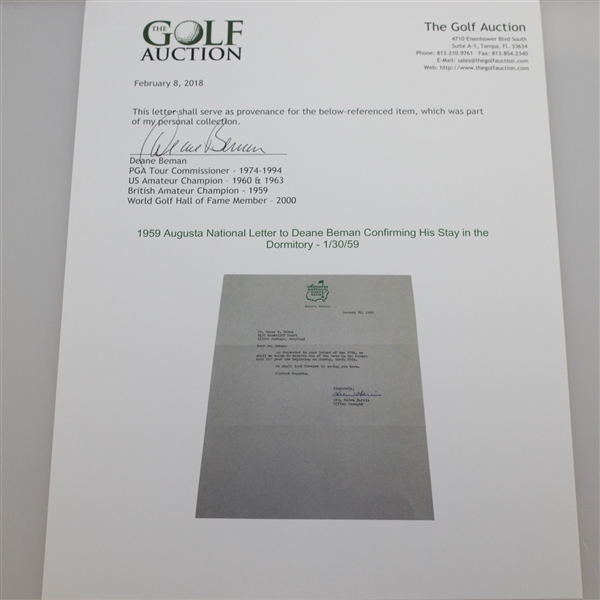 The letter comes in excellent condition.